Locks can be bruising abrasive sombre characters, it is a dark desolate unforgiving place in the second row, and the lack of daylight no doubt plays a huge part in their demeanour, but this particular lock is a friendly modest and down to earth computer sciences teacher, who plies her club trade with Harlequins, and internationally in the dark blue shirt of Scotland. This particular Flower of Scotland is a rare species, blooming in winter, for both club and country, and has sent many an opposition forward homeward to think again. The deep roots of this particular bloom stretch a very long way, in fact all the way from Scotland to the more temperate surroundings of the garden of England, Kent. She qualifies to play for Scotland through her gran, who left Motherwell during the Second World War and headed to London to help the war effort, there could surely be no be no worthier qualification criteria than that. Born in Gillingham, Deborah started playing at the age of ten for Medway RFC, when her brother also began to turn out for the club. 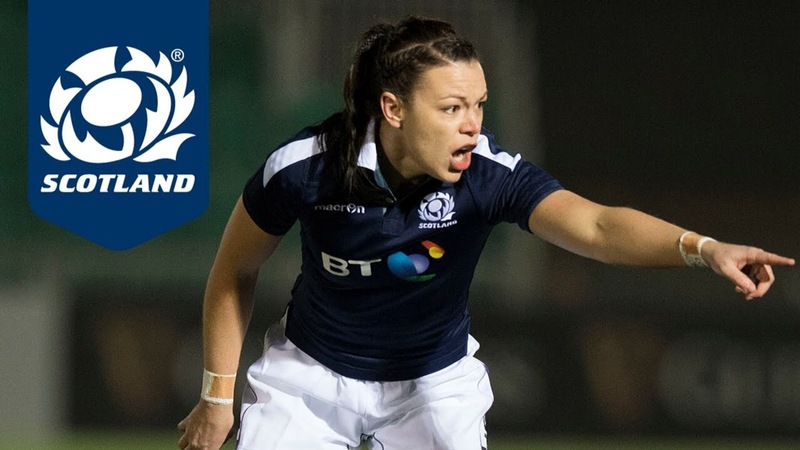 She was encouraged by Karen Findlay, whilst at Richmond, to attend Scottish trials which with the extortionate travel costs for a starving student left her deeply out-of-pocket, but the rest as they say is history, and she made her Scotland debut against Ireland in the 2014 six nations. 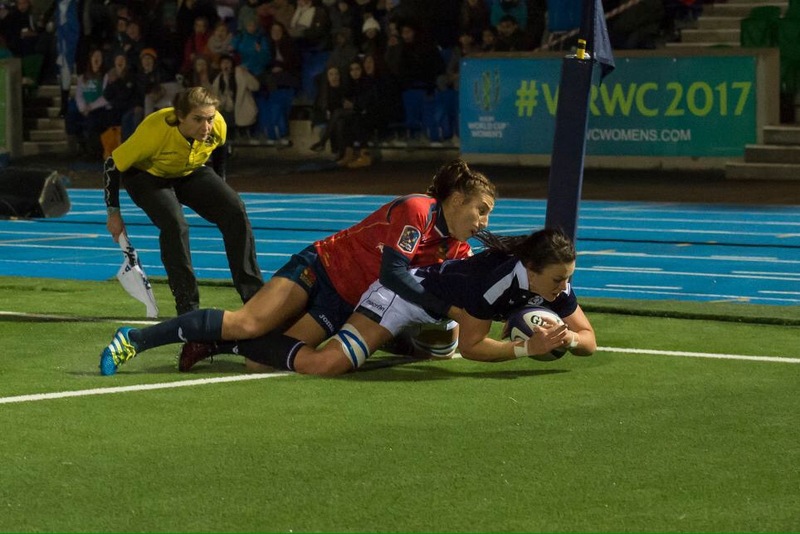 Since then she has won twenty eight caps for Scotland, scoring two tries, both against Spain in 2016 and 2017. Juggling work and rugby takes some doing, particularly when you have to negotiate the M25 at rush hour, twice a week, to attend training, and then the return journey home after gruelling sessions at Surrey Sports Park. In common with the majority of all the top women players she is indebted to her family without whose support, at so many levels, it would almost be impossible to function. A Fort Pitt Grammer school former pupil, Debs views Medway RFC as the greatest influence on her career. They had a thriving women’s rugby scene at Medway RFC, at a time when the women’s game did not have the popularity and participation availability it currently enjoys, and they at Medway they continue to thrive. Away from rugby there is very little spare time, but what precious time there is, she spends in the company of a very handsome and dashing male with gorgeous blue eyes, but more on that later. A heartbreaking defeat against Spain, in two-legged play off matches, resulted in Scotland failing to qualify for the women’s rugby world cup in Ireland, a shattering blow, which inevitably was, and still is, difficult to come to terms with, but those days are past now and in the past they must remain, and with the amount of talent at their disposal, the current Scotland squad really look like they can now rise up and be the nation again, and the 2019 Six nations seems the perfect place to lay down a marker to that effect. Debs would love to be around for the next women’s rugby world cup in 2021, which would be a fitting way end to her career, so we all hope that this particular flower of Scotland will be nurtured and tended carefully, so that she can bloom annually for a good few years to come. The immediate future presents a pre six nations warm up game in the thistled jersey against Spain, before a packed 6 nations tournament with three home fixtures against Italy Ireland and Wales and Italy, and away trips to France and England. 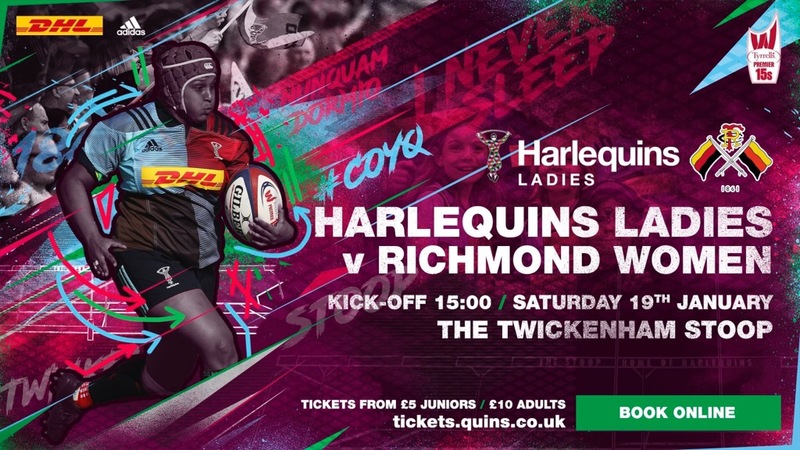 There is also the Tyrrells premier league, with Harlequins, who are flying high in the table and playing a brand of rugby which is a joy to watch. When her playing days are over she has no idea what she will do, and at the moment is totally focussed on the here and now. 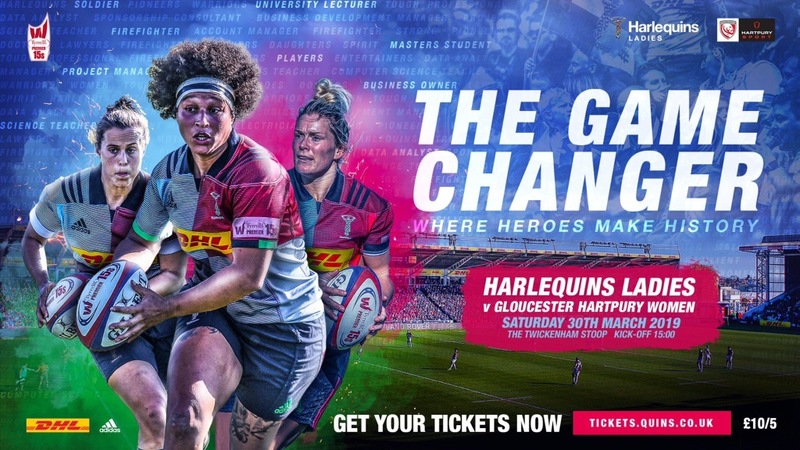 A hugely popular figure at Harlequins, her down to earth and friendly manner, as well as her playing ability, have earned her huge respect and popularity, it is wonderful and reassuring to see that the values and spirit of our great game are in safe hands with people like Debs around.